Prepare for a manic experience of robot destruction. Just when you thought you were done with twin stick shooters, Assault Android Cactus enters the ring with crazy visuals and ridiculous combat. Currently available via Early Access on Steam, this top down high intensity shooter is also coming to PlayStation 4, Vita, and WiiU. As one of eight androids, you must battle an army of robots that have taken control of a space freighter. Through the 25 level campaign, you’ll encounter a manic display of robots with varying attacks and abilities. The environments are also dynamic, with the floors in some levels constantly changing as you attack your enemies. From the trailer it’s clear that Assault Android Cactus is a fast-paced wall-to-wall action shooter, as the screen is constantly filled with an array of projectiles you won’t have time to plan out your every move. The pure spontaneity is something that not many twin stick shooters offer. 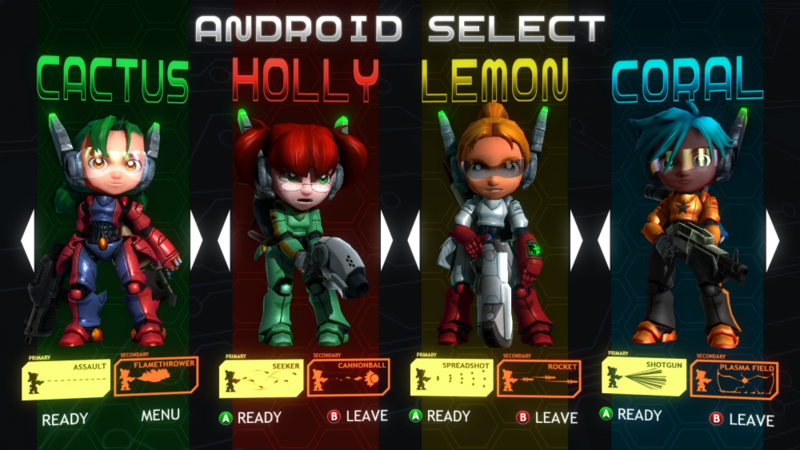 Assault Android Cactus supports 4-player local co-op and gives you eight unique androids to choose from, all with their own unique style. 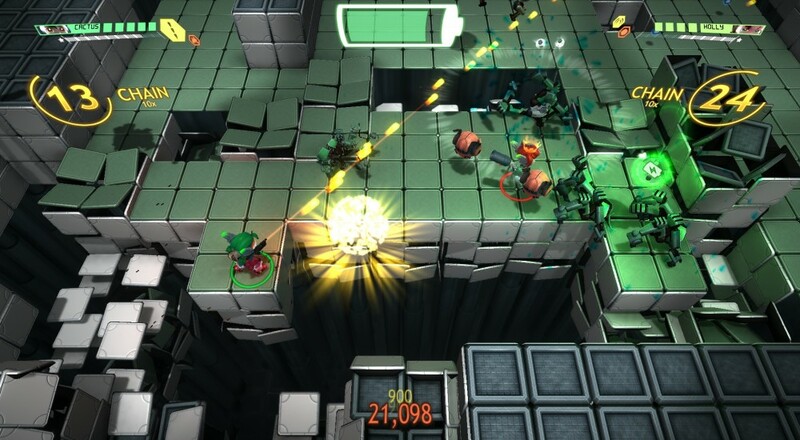 Cactus, the heroine of the game, comes armed with a Machine Gun and Flamethrower, while Holly, another android to choose from, totes a Homing Shot and Cannonball Launcher. Assault Android Cactus will be available for $14.99 Q4 of 2013 for PC and early 2014 on PlayStation 4 and PlayStation Vita via Cross-Buy. The game will also launch for WiiU. Are you excited to wreck some robots in this chaotic twin stick shooter? Let us know in the comments! Page created in 0.7443 seconds.